Try to run move the small square using keyboard arrows (you need to click on the small black arrow in the "output view" of jsbin.com, the arrows will not work while in the editor). Look at the code, start by at the mainloop function. This loop is called 60 times/s by the requestAnimationFrame(mainloop) call. 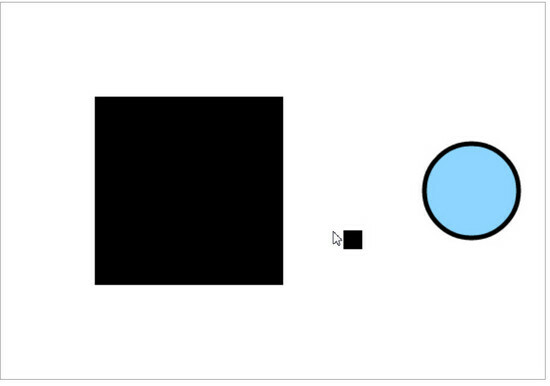 So each time mainloop is executed, we clear the screen, draw obstacles, move the player, check for collisions, etc. You may comment parts of the code to see what it does. http://jsbin.com/acohiv/839 press the edit button in the top right to see the code.